In the Package Explorer select the items that you want to export. If you want to export all the classes and resources in the project just select the project. In the filter text box of the first page of the export wizard type in JAR . 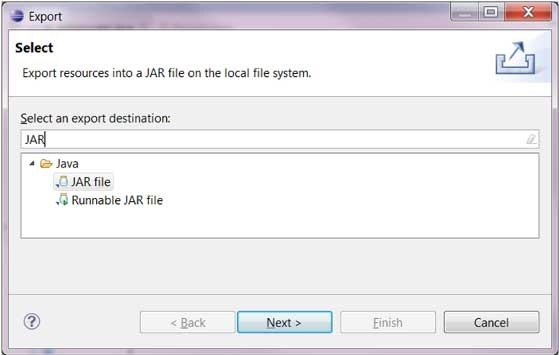 Under the Java category select JAR file. Enter the JAR file name and folder. The default is to export only the classes. 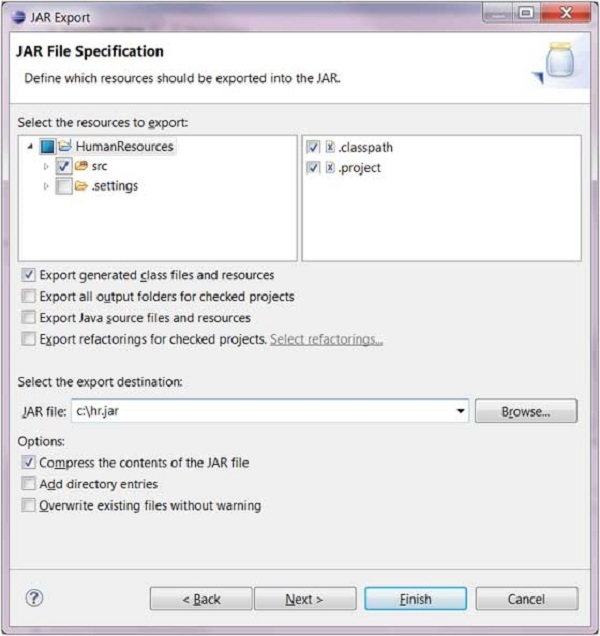 To export the source code also, click on the Export Java source files and resources check box. Click on Next to change the JAR packaging options. Click on Next to change the JAR Manifest specification.